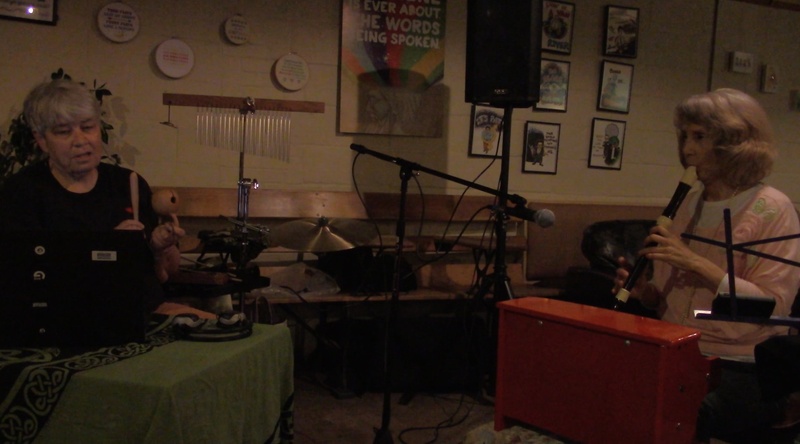 I am excited about an opportunity to play soundscape in a coffee shop in Carrboro NC next Saturday night. TJ Goode and empty sound were scheduled to play at the Open Eye Cafe on February 7th, and I was going! Then TJ said they couldn’t do it and did I want to? And I said “yes” because Rob Brezsny’s Leo horoscope said to “do things before you are ready”. I let the day seize me! Once I committed, I am up at 4 am working on ideas in Ableton Live. I have three hours to play, so I want to do something languid and calming with an underlying energy. I am really thinking about a sound painting that will evolve over time. And I know exactly what I want to play. begins with two people whispering and laughing as they enter a sea cave where you hear the bloup, bloup, bloup of water. This is a moist place. I want to play with a soundscape reminiscent of Vollenweider and Caverna Magica. Suzanne Romey is going to play flute and toy piano with me. She has a new Balinese flute that she is wanting to try. So if you are in Carrboro Saturday night, stop by and give us a listen. We will be painting the room with sound.